The Breathe Right brand includes nasal strips and snore relief products. Breathe Right nasal strips open nasal passages to relieve nasal congestion due to colds and allergies. 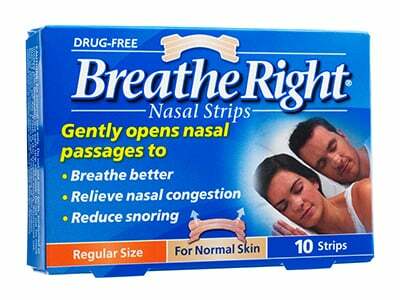 Nasal strips let you breathe through your nose so you can close your mouth and stop snoring. The Breathe Right snore relief products provide relief for the throat by lubricating throat tissues to minimize vibrations and control the snoring sound. Precio increíble de Snore relief products Breathe Right en Ciudad Arce (El Salvador) de la empresa Glaxosmithkline el Salvador, S.A. de S.V..